10 Best SEO is an Awards organization with a burgeoning reputation for the accolades that they give to different companies that are succeeding with in the SEO industry. For the month of April 2018, they have put out their latest list of highly-regarded candidates for the coveted title of Best Enterprise SEO Agency, recognizing Straight North and Boostability a premier professionals in the field. 10 Best SEO is excited to announce the winners in its Best Enterprise SEO Agency awards for April 2018, recognizing Straight North, Boostability and Ignite Visibility as the leaders in this category. 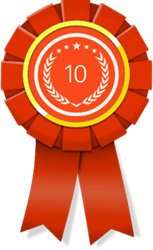 Every month, 10 Best SEO creates a list of the companies that qualify for the title of Best Enterprise SEO Agency. They recognize companies that are performing very well in all areas of SEO, and they have recently compiled the list of companies that qualify for this particular title for the month of April 2018. Potential clients would likely find it useful to know that the companies that have been chosen are Straight North, Boostability, and Ignite Visibility. The number one contender for the title of Best Enterprise Search Engine Optimization Firm is Straight North, which is based in the city of Chicago, Illinois. They provide internet marketing strategies to their client that will lead the client in the right direction when it comes to attracting customers and boosting revenue. They offer not only SEO services, but also basic web design services and PPC services. These services can help their clients generate qualified sales leads and increase e-commerce traffic and sales to the point where it will be extremely beneficial to them. Boostability, based in the city of Lehi, Utah, is second company on the list of best search engine optimization companies. They offer their customers a free online consultation that includes guidance that is specific to their industry, as well as steps on what they can do to improve their SEO. However, companies can derive the most benefit from actually building a business relationship with the agency. They can help increase web traffic and even sales with their skills in search engine optimization, as well as mobile web design and social media marketing. They know just how important is to achieve higher search engine rankings if a client wants to boost its online visibility and ultimately revenue. Coming in third on the April list of best enterprise SEO agencies is Ignite Visibility, a company that is based in San Diego, California. They provide a variety of services for their clients that are related to SEO, and they also have been named the number one pay-per-click company in the United States. They know how important SEO is to any company that is trying to get its web page out there, and they offer not only SEO, but also paid media, social media marketing, Amazon marketing, PR, conversion rate optimization, and custom solutions for their clients. For more information the winners of the April 2018 awards, visit http://www.10bestseo.com.